Asia-Pacific memory packaging market is estimated at $13,564.5 million in 2017, and is projected to witness a CAGR of 5.5% during 2018–2023 and is expected to reach $18,488.1 million by 2023. Surge in investments in fabrication activities in China, rising demand for smartphones across the region, growing popularity of autonomous driving and in-car entertainment (ICE), and continuous improvements in high-bandwidth memory (HBM) and redistribution layer (RDL) are some of the major factors driving the growth of the APAC memory packaging market. On the basis of packaging platform, the market has been categorized into wire-bond, lead-frame, flip-chip, through-silicon via (TSV), and wafer-level chip-scale packaging (WLCSP). Among these, the wire-bond packaging platform is estimated to contribute the largest revenue share, accounting for more than 75% to the APAC memory packaging market in 2017. Comprehensible program adjustments, easy changeovers, and low engineering costs are backing the demand for wire-bond memory packaging solutions. Even with changes in the package design, the wire-bond memory packaging platform continues to be used as the preferred interconnection platform because of its flexibility, low cost and reliability. China is estimated to contribute the largest revenue share, accounting for more than 40% to the APAC memory packaging market in 2017. This can be mainly attributed to the broader application areas of memory packaging in various consumer electronics, particularly smartphones and tablets. Also, the presence of major memory packaging vendors in the China, such as Samsung Electronics Co. Ltd., SK hynix Inc., and Intel Corporation, is driving the memory packaging industry. Increasing demand for smartphones in Asia-Pacific is one of the major factors driving the growth of the regional APAC memory packaging market. According to a recent study, the share of smartphone users in China was over 53.3% of the total mobile phone users in the country in 2016, which grew up to over 56% in 2017. 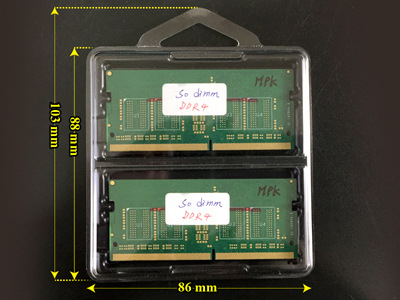 With the rising adoption of smartphones, the use of packaged memory chips is also increasing. With the rising prices of DRAM memory, vendors operating in the APAC memory packaging market are increasingly spending on the development of 3D NAND. According to an article published by SK hynix Inc., companies can no longer keep up with 3D NAND demand, and are required to expand their manufacturing capacity. Increasing spending on 3D NAND, complemented by its growing demand, is expected to create a huge growth opportunity for the players in the market in coming years. Some of the key players in the APAC memory packaging market are Apple Inc., Dell EMC, Qualcomm Technologies Inc., IBM Corporation, Intel Corporation, Cisco Systems Inc., Samsung Electronics Co. Ltd., Winbond Electronics Corporation, Fujitsu Group, LG Electronics, Toshiba Corporation, SK hynix Inc., Nanya Technology Corporation, ASE Group, NEC Corporation, ST Microelectronics N.V., Micron Technology Inc., and Western Digital Corporation. The global energy harvesting system market is expected to reach $659.6 billion by 2023, growing at a CAGR of 11.0% during 2018–2023. Growing measures to reduce carbon footprints, lower dependence on fossil fuels, rising adoption of IoT and big data, and growing demand for power-efficient systems are some of the major factors driving the growth of the market. Energy-harvesting to drive wearable devices and ultra-low power devices, that comparatively require less amount of power than conventional sources. In 2017, a team of researchers at Georgia Institute of Technology developed the ways to produce mechanical energy from the movements of human body, not only in standalone devices but also by integrating technology into fabrics. The emergence of new energy harvesting techniques has been proven to drive energy in ultra-low power applications. This provides immense growth opportunities to the energy harvesting system market across the globe. Some of the key players in the energy harvesting system market are Arveni, Convergence Wireless, Cymbet Corporation, Powercast Corporation, Texas Instruments Incorporated, Fujitsu Group, ABB Ltd., Honeywell International Inc., STMicroelectronics N.V., EnOcean GmbH, Voltree Power, Inc., Bionic Power, Inc., Energy Partners, and Yantra Harvest Energy Private Limited. The modern PC storage is rapidly transforming from traditional HDD to Solid State Drives (SSDs). The evolution in 'Bit growth' has facilitated the 3-bit MLC NAND technology in the PC storage industry. The solid state drives are gaining a great deal of attention to their performance, such as increased access speed, multi-tasking ability, and higher reliability and durability, compared to its traditional counterparts. Based on the application, the global solid state drives market can be segmented as Database (further segmented as, SQL, and No-SQL), Virtualization (further segmented as desktops, and servers), high-performance computing (further segmented as, Up SSD, and Out SSD), Cloud (further segmented as fixed, and varied), and others. Based on the interface technology, the global solid state drives (SSDs) market can be broadly classified as, SATA SSDs, SAS SSDs, and PCI-E SSDs. On the basis of storage capacity, the global solid state drives (SSDs) market can be broadly classified as, 80 GB and below, 81GB to 230GB, 231GB to 500GB, 501GB to 1TB, and above 1TB. Based on the end user, the global solid state drives (SSDs) market can be broadly classified as, enterprise SSD, and client SSD. Asia-Pacific accounted for the largest market of solid state drives (SSDs) in 2014. The growth of consumer electronics market, along with rapid development in the information and technology (IT) service sectors in the developing countries, including China, India, South Korea, and Taiwan is fueling the growth of the solid state drive (SSD) market in Asia-Pacific. The solid state device (SSD) segment has witnessed comparatively higher growth in the Asia-Pacific, owing to its escalating demand from mobile devices, such as notebooks, smartphones and tablets. Some of the competitors in the solid state drives (SSDs) are Samsung Electronics Co., Ltd., Toshiba Corporation, Intel Corporation, Micron Technology Inc., SanDisk Corporation Inc., OCZ Storage Solutions, Lite-On Technology Corporation, Western Digital Corporation Inc., and Seagate Technology PLC. In the past few years, the graphics add-in board market has witnessed a diminished growth in terms of volume. However, with the growth of online gaming / i-gaming, along with the demand for smartphones, laptops, and tablet PCs, as a gaming platform; the market is expected to witness a moderate growth during the forecast period. The graphics add-in boards are electronics component that can be included in a PC to increase its communication capabilities, in terms of memory and graphics. The technology is widely applicable in decoding of MPEG-4 and MPEG-2 into three dimensional scenes and two dimensional graphics. They are also used to connect multiple computers, in addition with improved visual quality of the system. The major drivers for the graphics add-in board market, include growing demand of memory graphics cards in PCs, and spur in the demand of smartphones and high resolution tablets. Some challenges such as high dependency of the foundry outsourcing is limiting the growth of the global graphics add-in board market. Based on end users, the global graphics add-in board market can be broadly classified as desktop, work station, note book, and others. Based on application, the global graphics add-in board market can be broadly classified as gaming, design, and visualization, high-performance computing (or HPC), and data center, automotive, and smart devices. Asia-Pacific accounted for the largest graphics add-in board market in 2014. The growth of consumer electronics market, along with rapid development in the information and technology (IT) service sectors in developing countries, including China, India, South Korea, and Taiwan is fueling the growth of the graphics. The note book graphics add-in board market has witnessed comparatively higher growth in Asia-Pacific, owing to their surging demand from consumer mobile devices. On the other hand, the demand for desktop graphics has been declined in past few years. Matrox Electronic Systems Ltd., Advanced Micro Devices Inc. (AMD), Nvidia Corp., Creative Technology Ltd., and S3 Graphics Ltd. The drone technology market is growing with a significant rate due to effective adoption of drones for law enforcements, up surging demand from applications and technological proliferation. Retailing and e-commerce industries have been working on unmanned aerial vehicles to deliver products in the shortest possible time to the customers. North America leads the global drone technology market, due to their increasing applications in the commercial sectors and high production of drones. The Europe drone technology market is expected to grow with a significant rate in the coming years, due to increasing applications in law enforcement and agriculture, and relaxation in regulations within the region. Building retrofits and favorable government regulations are supporting the growth of the drone technology market in the region. Asia-Pacific drone technology market is also expected to grow in the coming years, due to the increased use of unmanned aerial vehicles in agricultural activities within the countries of the region. On the basis of type, the drone technology market can be categorized as unmanned marine vehicles, unmanned ground vehicles, unmanned aerial vehicles, and unmanned surface vehicles. On the basis of product, the drone technology market can be categorized as nano drones, fixed wing drones, hybrid drones, and rotary blade drones. The rotary blade drones lead the global drone technology market, due to its use in wide range of applications. Rotary blade drones consist of single and multi-rotor variants. The multi-rotor variant has better flight control and is used in applications, such as surveillance and photography. Some of the competitors in the drone technology market are Challis Heliplane, Aurora Flight Sciences, DJI Innovations, AeroVironment Inc., Northrop Grumman Corporation, General Dynamics Corporation, Turkish Aerospace Industries Inc., Elbit Systems Ltd., Prox Dynamics AS, and Lockheed Martin Corporation. The shrinking size requirement in consumer electronics products, along with the higher power saving potential of organic printed transistors, and memory are fueling its demand in lighting, signage, displays, electronic products, smart packaging, medical disposables, and smart labels. Low cost technology, and contact-less printing requirements are the important driving factors for the organic printed transistors and memory market from the supplier's perspective. The application of organic printed transistor and memory has grown considerably, ever since its commercialization in 2009. The growth of the organic printed transistor and memory market, in the coming decade is expected to be very similar to the growth of silicon chip market in last decade. The extensive research and development activities (R&D) by companies are expected to increase the efficiency and capacity of organic printed transistor in the coming years. Technologically advanced regions such as Taiwan, Japan, USA, Germany, and the U.K. are expected to lead the organic printed transistor and memory market, during the forecast period. The mass manufacturing capacity of organic printed transistors is an important factor for its market penetration. The advancement in printed electronics technology has been simplified to resolution, and register precision of as low as 20 μm. Moreover, the printing capacity for electronics has grown to 500 meters / minute, which can equal the global annual production volume within an hour. Till the flexible display devices is the major industry for organic printed transistors and memory market; nevertheless emerging industries such as smart labels, wearable electronics, and smart toys. North America accounted for the largest market of organic printed transistors and memory market, in 2014. The high market penetration of organic printed transistors and memory in the North American market is due to its high adoption, in flexible display manufacturing. Among regions, Europe is expected to grow at the highest pace, during the next five to six years. The organic printed transistors and memory market in Asia Pacific is expected to be driven by its increasing demand from consumer electronics, wearable, and signage. FUJITSU, The Hewlett-Packard Company, Samsung Electronics Co. Ltd., SAP technology, Sony Corporation, Xerox Corporation, AU Optronics Corp., CANON INC., And DaiNippon Printing. The growing application of cloud based services, increasing mobility, and upsurge in the parallel data processing capacity, and technological advantages, such as real time analysis capability of the MES system, are expected to drive the growth of the manufacturing execution systems (MES), during the forecast period. With sophisticated and modern features, the manufacturing execution system is witnessing a wide adoption, even within medium and small manufacturing facilities; however factors, such as wide scale implantation, high initial cost, long installation period, and complexity of technology involved in MES, are hindering the growth of the manufacturing execution system market. The increasing globalization has forced manufacturing companies to adopt an efficient coordination model, and governance to improve their manufacturing process, across multiple plants around the world. In addition, the growing need of real-time visibility, prerequisite for effective management process, and the reformist revolution within the demand-driven economy, is expected to boost the demand of the manufacturing execution system (MES), during the forecast period. North America has been the largest manufacturing execution system (MES) market in 2014, followed by Europe. The market dominance of North America and Europe is attributed to higher industrial production in these regions. Oil and gas, automotive, and food and beverages are some of the most dominant application segments of manufacturing execution system in the developed regions. Asia Pacific is the fastest growing market for manufacturing execution system (MES), due to the growing automotive manufacturing facilities, and food and beverage processing industries in the region. China, India, U.S., Germany, Italy, U.K., Spain, Canada, and Japan are the leaders of the manufacturing execution system (MES) market. The oil and gas based economy of Middle-East countries, such as UAE, Qatar, and Iraq are laying significant market opportunities for the manufacturing execution market owing to their increasing adoption in the region. The new crude oil manufacturing facilities in the Gulf of Mexico, along with rapid industrialization in Brazil are the major drivers for the MES market in South America. Based on the product type, the global manufacturing execution system market can be segmented, as inventory management, performance analysis, quality analysis, data collection and acquisition, document control, resource allocation, and others. Based on application, the global manufacturing execution system market can be categorized into process industry (including oil, chemicals, food and beverages, power, paper and pulp, water and waste water management and others), discrete industry (including automotive, aerospace and defense industry, medical devices industry, fast moving consumer goods (FMCG) industry and others. Some of the competitors in the manufacturing execution system market are Werum Software and Systems, Siemens AG, Schneider Electric S.A., SAP, Rockwell Automation Inc., Operator System Aps, Honeywell International Inc., General Electric Co. (GE), Eyelit Inc., Emerson Electric Co., Apriso Corporation, Andea Solutions and ABB Ltd. The increasing demand for embedded vision, growing use of robotics in automation, and cumulative demand for non-industrial applications (such as medical imaging, intelligence transportation systems, security and surveillance, and logistics) are driving the growth of the machine vision system and component market. In addition, growth of 3D technologies, simplification, improved computer performance, and standardization of components have also benefitted the wide acceptance of the machine vision systems in many consumer applications. Based on product type, the global machine vision system and components market can be segmented, as PC-based machine vision systems, embedded machine vision systems, and smart camera-based machine vision systems. On the basis of technology, the market can be further categorized into imaging technology, laser technology, and augmented reality. Based on the end-user, the global machine vision and component market can be divided into automotive, (including assembly verification, print verification, electric controls, dimensional gauging, flaw detection, code reading, brakes), semiconductor (including IR vision technology, robot vision, semiconductor fabrication, macro defects inspection, printed circuit board (PCB) inspection), consumer electronics, glass (including cut plate inspection, interleaving powder coverage measurement, mirrored glass inspection, and others), metal, pharmaceuticals, wood and paper, rubber and plastics, food packaging, printing and others. North America and Europe accounted for the majority of the machine vision system and components markets, in 2014. The European machine vision system and component market is largely driven by the demand from automotive industries, in Germany, Italy and France. The North American machine vision system and component market is expected to show a moderate growth, during the forecast period. The improvements in the manufacturing industry, post economic slowdown along with high demand of robotics from U.S. is expected to drive the market of the machine vision systems, in this region. Asia Pacific has been recognized as the fastest growing machine vision systems and component market, in 2014. The surging industrialization, along with growing automotive manufacturing industries, is the major growth drivers of the Asia pacific machine vision systems and component market. U.S., Canada, Germany, U.K., Italy, France, Japan, China, India, Brazil, and South Korea are the leaders of the machine vision systems and component market globally. Some of the competitors in the machine vision systems & components market, are Vitronic GMBH, Scorpion Vision Ltd., Qualcomm Inc., Point Grey Research Inc., Perceptron Inc., Omron Corporation, National Instruments, Microscan Systems, Machine Vision Technology Ltd., Lumenera Corporation, Keyence Corporation, IDS Imaging Development Systems GmbH, Cypress Semiconductor Corporation, Cognex Corporation, Basler AG, Allied Vision Technologies, and Adept Technology Inc. The precision farming market is growing with a considerable rate due to augmented yield and profitability of the agriculture industry. The growing population and government assistance to farmers are other factors responsible for the growth of the global precision farming market. Penetration of broadband and mobile technologies and unmanned aerial vehicles (UAV) applications are some of the factors providing ample opportunities to the precision farming market to grow in the coming years. On the basis of technology, the precision farming market can be categorized as variable rate technology (VRT), remote sensing, and guidance systems. Variable rate technology includes variable rate pesticide, variable rate fertilizer, and variable rate seeding. Remote sensing includes satellite and handheld; and guidance systems include geographic information system, global positioning system, global navigation satellite system (GNSS), and geographic information system (GIS). On the basis of applications precision farming market can be categorized as variable rate application (VRA), yield monitoring, farm labor management systems, crop scouting, soil monitoring, weather tracking and forecasting, and field mapping. Variable rate application (VRA) include field applications, map-based VRA, lime VRA, fertilizer VRA, sensor-based VRA, pesticide VRA, phosphorus VRA, nitrogen VRA and seeding VRA. Yield monitoring includes off-farm field monitoring and on-farm yield monitoring. Some of the factors driving the growth of the precision farming market include increasing awareness among farmers about cost and energy saving through this technology, enhanced crop health and inextricable link between sustainable development and precision farming. Abundance of available arable lands around the globe is providing ample opportunities to the growth of precision farming market in the coming years. Some of the competitors in the precision farming market are Teejet Technologies, LLC, Dickey-John Corporation, AGCO Corporation, Trimble Navigation Limited, Precision Planting Inc., Ag Leader Technology, Inc., Deere & Company, Agjunction Inc., Raven Industries Inc. and Topcon Precision Agriculture Pty. Ltd..
North America leads the backside illumination (BSI), complementary metal oxide semiconductor (CMOS) image sensor market, due to several design and technological improvements in this technology. This has been driving its demand in sectors, such as consumer electronics, and automotive in the region. The Asia-Pacific BSI CMOS image sensor market is expected to grow at the highest rate, in the coming years, due to which, it is expected to become the largest market, in the coming years. One of the key reasons for high growth of Asia Pacific in this market is its swift transition, from analog to digital systems. Another major driver for BSI CMOS image sensor market in the region is increasing consumer expenditure on electronics products. The reducing prices of smartphones, along with consumers’ inclination towards high resolution camera enabled mobile phones, has increased the demand for BSI CMOS image sensors, in the region. The BSI CMOS image sensor designing allows light to reach photo diodes on the sensor, in a simple way. The wiring inside BSI CMOS image sensor is moved behind the light receiving surface, to make the sensor more light sensitive, and produce less noise. Light falls on the ocular volume of photodiode in BSI CMOS technology, and removes the need for passing of light across the layers of metal interconnections. Backside positioning of lens enhances sensitivity, and absorption of light, as compared to conventional technologies, which further permits the formation of finer pixels images. BSI CMOS image sensors are widely used in the camera enabled mobile phones, owing to small size, less power consumption and higher speed of BSI CMOS image sensors, over CCD image sensors. The popularity of social networking has increased the demand for high end camera functions, in mobile phones, which is consequently increasing the demand in the BSI CMOS image sensor market. BSI CMOS image sensors eliminate the bulk substrate in the devices to decrease diffusion component of dark current and electrical crosstalk. BSI CMOS image sensors have higher quantum efficiency, which in turn enhances the production of output images with similar signal to noise ratio (SNR). Some of the competitors in BSI CMOS image sensor market are OmniVision Technologies Inc., Sony Corporation, Samsung Semiconductor, Inc., GalaxyCore Inc., ON Semiconductor Corporation, SK Hynix Inc., Himax Imaging Inc., Toshiba Corporation, and Panasonic Corporation. The potential use of millimeter wave technology in 5g technology, and worldwide scope in defense, military, and aerospace and satellite communication applications are the factors which are expected to provide significant opportunities for the growth of the millimeter wave technology market, in the forecast period. Millimeter wave represent the radio frequency signal spectrum between the frequencies 30GHz- 300GHz, with a wavelength between 1-10 mms. Millimeter waves can authorize more densely packed communications links, hence providing very effective spectrum utilization, and they can also increase the security of communication transmissions. The global millimeter wave technology market can be segmented, on the basis of frequency band, license, product and component. Based upon frequency, the market can be segmented into 57 to 86GHz frequency millimeter wave, 8 – 57 GHz frequency millimeter wave, and 86 – 300 GHz frequency millimeter wave. Based on license, the millimeter wave market is divided into unlicensed, light licensed, and fully licensed. On the basis of product, the global millimeter wave technology market can be divided into telecommunication equipment, scanners and imaging systems, RADAR and satellite communication systems, and others. The major growth drivers of the global millimeter wave technology market include increasing mobile data traffic, and demand for bandwidth intensive applications, upsurge in the usage of millimeter wave in small cell backhaul networks, escalating demand for innovative applications in the radar and security applications, and high potential usage of the millimeter wave technology, in consumer electronics applications. Millivision Technologies, SAGE Millimeter Inc., Keysight Technologies, Vubiq Networks Inc, BridgeWave Communications, E-Band Communications, LLC, Aviat Networks, NEC Corporation and Siklu Communication Ltd., are some of the major competitors of the global millimeters technology market. The growing demand for flexible access to rich multimedia and entertainment experiences on consumer’s own time, schedule, and device, has increased the market penetration of the multiscreen TV and video market, in the past few years. The advanced and improved functionalities, such as, popular programming, play and pause functionality, highly interactive, and personalized service, along with high picture quality of multiscreen TV and video, offer superior entertainment experience over traditional television. The high speed data streaming still remains a critical factor, for the quality of service provided by the multiscreen TV service providers. The rising penet ration of internet services and advancement of data streaming capacity, over wireless network, has boosted up the global media and entertainment infrastructure. Moreover, the falling prices of internet services, and development of cloud services is laying new market opportunities for the multiscreen TV and video providers. Based on the type of services, the global multiscreen TV and video market can be broadly segmented, as Direct TV, Cable TV, Satellite TV, and IPTV/OTT. Cable TV was the largest market segment of multiscreen TV and Video market in 2014. It is also expected to be one of the dominant segments, over the forecast period. IPTV/OTT segment is expected to be the fastest growing market segment, during the forecast period, attributed to increasing mobility, and rising internet penetration in the developing countries of Asia Pacific region. North America was the largest multiscreen TV and video market in 2014, followed by Europe. The market dominance of the developed regions, can be attributed to the well spread wired and wireless communication infrastructure. Moreover, the busy life style and increased level of mobility in these regions, has also lifted the demand of small and portable media players, which in turn is driving demand of the multiscreen TV and video market. Asia-Pacific is expected to be the fastest growing multiscreen TV and video market, during the forecast period. The growing numbers of internet users and declining internet tariff in the developing countries is expected to increase the market penetration of the multiscreen TV and video market, during the forecast period. Some of the competitors in the multiscreen TV & video market are AT&T Inc., Beijing Gehua CATV Network Co. Ltd, British Sky Broadcasting, China Telecom Corporation Limited, Cox Communications, DirecTV, Jiangsu Yuanyang Cable Co. Ltd., Time Warner Cable, UPC Broadband, and Virgin Media plc. The smart/intelligent sensor market is growing at a considerable rate, due to energy saving through the increased use of smart sensors in various applications, along with the evolution of novel wireless technology. The growing demand of smart sensors in wearable technology, and healthcare sector are some of the factors, providing ample opportunities for the upsurge of the smart sensor market, in the coming years. Due to the advancement in microelectronics, telecommunications, data analysis, and sensor manufacturing techniques, new possibilities have been opened up for using smart sensors in the digital health ecosystem, to achieve a range of health outcomes. The size of conventional sensors and front-end electronics has made it very difficult to be used in the wearable technology, for to the purpose of capturing movement, and physiological data. However with microcontroller functions, miniature circuits, wireless data transmission, and front-end amplification, smart sensors can be used in the digital health monitoring systems. North America dominates the global smart sensors market, followed by Europe; which is due to the high adoption rate, and proper consumer awareness in the region. In addition, increasing incidences of chronic diseases, and eagerness to adopt new technology, is also supporting the growth of the smart sensor market, in the region. In Asia-Pacific, Australia is witnessing fastest growth in the smart sensors market, owing to high interest of Australian consumers, for buying the latest gadgets, even at high price. On the basis of type, the smart sensor market can be categorized, as oxidation reduction potential sensor, dissolved oxygen sensors, pressure sensors, flow sensors, temperature sensors, turbidity sensors, touch sensors, and pH sensors. The smart sensor market can also be categorized on the basis of technology, as micro electro mechanical systems (MEMs) technology, complementary metal oxide semiconductor technology, and optical spectroscopy. The increased use of smart sensors in counter terrorism applications, such biometrics and cargo tracking is supporting its growth. Some of the factors restraining the growth of the smart sensor market are high deployment cost, absence of customization, and complex nature of smart sensor. Some of the competitors in the smart sensor market are Eaton Corporation, Honeywell International Inc., Airmar Technology Corporation, ABB Ltd., Nanjing IOT Sensor Technology Co. Ltd, Freescale Semiconductor Inc., Analog Devices Inc., Vishay Intertechnology Inc., Smart Sensors Inc., Colibrys Ltd., Siemens AG, Banpil Photonics Inc., Infineon Technologies AG, Sensirion AG, Comus International Inc., Oceana Sensor Technologies Inc., and Gira Giersiepen GmbH & Co. KG. The innovations in semiconductor processing technologies, and increasing electronics manufacturing efficiencies have facilitated FPGA vendors, to offer their programmable devices at affordable unit costs, as compared to other traditional approaches, such as application specific integrated circuit (ASICs). Moreover, the other advantages associated with field-programmable gate array, such as higher performance gain in software application, large parallel data processing capacity, and ability to process real time data efficiently, are driving the demand of the field-programmable gate array market. One of the major drivers of the field-programmable gate array from supplier perspective is the extremely short time to market. The time required for hardware prototype design of FPGA has shortened in the past few years, since the modern hardware development process is largely based on the IP core design. The end of time-taking processes, such as start-up and debugging, is decreasing the overall development period of the FPGA. Stiff rise in the non-recurring engineering of ASIC has increased the ASIC unit costs over the years. The designing of standard cell ASIC is estimated up to, millions of dollars. Increase in the mask costs raises the effective unit cost, of the ASIC solutions over the years. As a result, FPGA are becoming the popular alternatives for ASIC in many application. Based on the design architecture of FPGA, the global field-programmable gate array market can be segmented, as SRAM based FPGA, flash based FPGA, and anti-fuse based FPGA. Based on the configuration of the field-programmable gate array, the market can be segmented, into high-end FPGA, low-end FPGA, mid-range FPGA, low-end FPGA, and FPGA process node based configurations. Based on the application, the global field-programmable gate array market can be broadly categorized, as telecommunication, military & aerospace, consumer electronics, industrial, automotive, medical, data center and computing, and others. Asia Pacific accounted for the largest and fastest growing field-programmable gate array market, in 2014. The market is expected to retain its dominance over the forecast period, attributed to the high concentration of automotive and consumer electronics manufacturers, in the region. North America accounts for the second largest regional field-programmable gate array market, which is driven largely by the demand from telecommunication sector. China, India, U.S., Japan, Germany, Italy, France, U.K., and South Korea are the major regions of the global field-programmable gate array market. Some of the competitors in the Field-Programmable Gate Array (FPGA) Market are Xilinx Inc., Achronix Semiconductor Corp., Atmel Corporation, Altera Corporation, Lattice Semiconductor Corporation, Atmel Corporation, Tabula Inc., and Microsemi Corporation. The gas sensor market is driven mainly due to the advancements in embedded electronics, and sensor technology. The increase in hazardous gas emission has led to the implementation of several government legislations, recently. Carbon gas sensor marketmonoxide (CO) and nitrogen oxide sensing devices are the widely used gas sensors, for the detection of hazardous gases. With the increasing incidence of industrial accidents, more importance is being given to the continuous monitoring of the concentration of the harmful substances, in industrial environments to avoid any disaster. The demand for gas sensing devices in industries, such as process and manufacturing is increasing, and expected to grow further, during the forecast period, along with the ongoing industrialization, in the developing countries. The use of wireless gas sensor is one of the remarkable trends in the market, since wireless gas sensors offer installation, performance, and cost benefits over its conventional counterparts. Based on the type, the global gas sensor market can be broadly classified, as carbon dioxide sensor, oxygen sensor, nitrogen oxide sensor, carbon monoxide sensors, and others. Based on technology, the global gas sensor market can be broadly classified as, semiconductor, electromechanical, solid state, photoionization detector (PID), infrared, catalytic, and others. On the basis of various end users, the global gas sensor market can be broadly classified, as medical, environmental, building automation & domestic appliances, automotive, petrochemical, industrial and others. Industrial segment accounted for the largest usage of gas sensors, in 2014.The segment is also expected to retain its dominance, during the forecast period. Government regulations towards occupational health hazards, along with the safety and security of workers, are likely to be the major driving factors of this segment. Asia Pacific accounted for the largest gas sensors market in 2014, whose dominance is attributed to the industry automation and technological advancement. The increasing demand from integrated handheld products has also encouraged the growth of the gas sensor market. Moreover, numerous government legislations, such as the industrial Safety, Health and Welfare at Work Act, are expected to expand the market, during the forecast period. Stringent emission control standards in Europe are one of the major drivers of the gas sensor market in the region. Japan, China, India, U.S., Canada, U.K., Germany, Italy, France, Spain, and Brazil, are the major gas sensor markets globally. Some of the competitors in the gas sensors market are Aeroqual Ltd., ABB Ltd., Alphanese Dragerwerk AG & Co. KGaA, City Technology Ltd., Figaro Engineering Inc., Dynament Ltd., Membrapor AG, GfG Europe Ltd., Robert Bosch LLC, NGK Insulators Ltd., Nemoto & Co. Ltd., Yokogawa Electric Corporation., Trolex Ltd., Siemens AG, and Trolex Ltd. The surging demand of electricity, along with ongoing development in the power generation and distribution infrastructure, in the developing countries is expected to drive the global power transformer market, during the forecast period. Moreover, the replacement market for power transformers is expected to create significant demand, in the developed countries during the forecast period. The increasing awareness concerning the benefits of low carbon emissions and energy conservation capabilities of smart grid, and super grid has also benefited the power transformer market, in the past few years. Asia Pacific accounted for the largest and fastest growing power transformer market, in 2014. The market leadership of Asia Pacific is attributed to the presence of large power distribution networks, in the developing countries, such as China and India. The growing government funding for the expansion of electricity distribution infrastructure in rural and remote areas, in these countries is expected to lay new market opportunities for the growth of the power transformers market, during the forecast period. A significant growth is also expected from the Middle East and South American region. North America is also experiencing a considerable demand of power transformers post economic slowdown, attributed to the development of new power projects in the U.S. Some of the competitors in the Power Transformers Market are Toshiba Corp., Siemens Energy, Mitsubishi Electric Corporation, Hyundai Heavy Industries Co. Ltd., Hyosung Power & Industrial Systems Performance Group., GE Co., Crompton Greaves Ltd., Bharat Heavy Electricals Limited., Alstom SA. and ABB Ltd.